Why Auto Trac Tire & Auto? At Auto-Trac, we’re motivated by an honest, practical, and common sense approach. We apply that approach in our 13-bay 13,000 square foot facility, which allows us to service both personal and commercial vehicles. With 25 experienced and knowledgeable staff members, we’re confident that we can meet your automotive and diesel repair needs. We also have a 3,000 square foot warehouse dedicated to tire sale storage. We understand that now more than ever every dollar counts, and you want to ensure you’re spending yours in the right place. 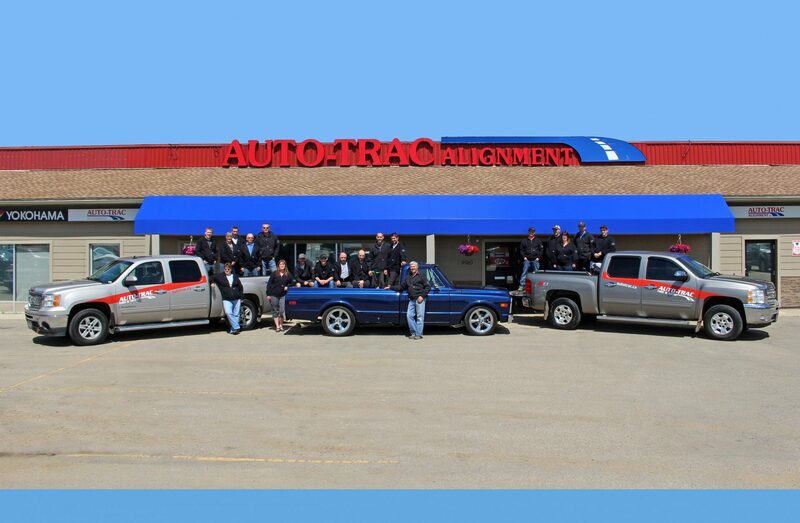 Auto-Trac has been proudly locally owned and operated since 1980, guaranteeing that more of your hard earned money stays in Grande Prairie. Since we’re able to provide you with a variety of services, we’re confident that we can provide efficient solutions for everything you need from your vehicle and its repairs. We’re proud to be a member of the Better Business Bureau and to be AMA (CAA) approved. We also offer AMA discounts. For our commercial customers, we’re proud to accept major fleet cards. Our goal is to provide our customers with worry free driving by performing needed service work, with auto repair done efficiently and at a cost effective price. Auto-Trac provides sales for all major brands of tires, including Yokohama, Toyo Tires, Hankook, Good Year, Cooper Tires and Bridgestone. Our tire experts can match you with the exact tires that you need. We’re proud to offer our tires at very competitive prices! Our qualified technicians have the knowledge, experience, tools, and equipment to keep diesel engines running smooth and trouble free. Don’t trust your diesel engine repairs to just anyone – we have everything it takes to properly service and repair your diesel engine.